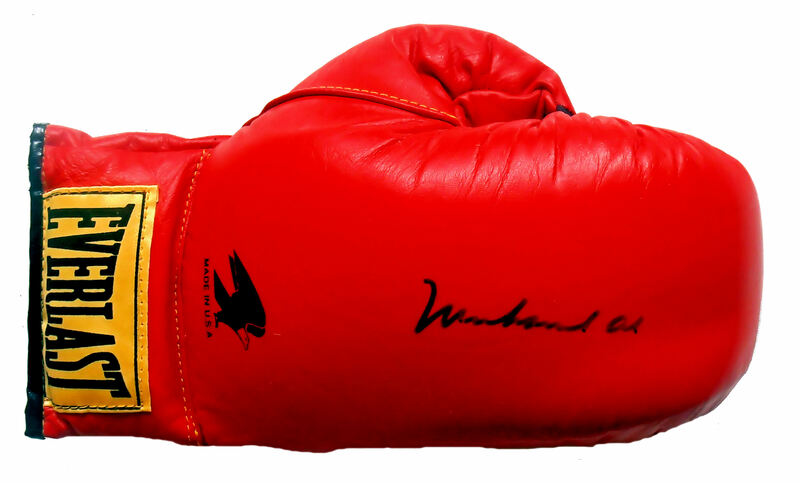 Description : He we have a superb vintage 12oz everlast R/H glove that has been signed by the one & only Muhammad Ali. His signiture he is vintage Ali & not one of the more recent signitures by the great man, due to Ali's declining health his signiture is obviously not as clear & lucid as those from his hey day.......Born Cassius Clay, at the age of 22 he won the world heavyweight championship in 1964 from Sonny Liston in a stunning upset.......Ali remains the only three-time lineal World Heavyweight Champion; he won the title in 1964, 1974, and 1978.......Nicknamed "The Greatest", Ali was involved in several historic boxing matches. Notable among these were the first Liston fight, three with rival Joe Frazier, and one with George Foreman, where he regained titles he had been stripped of seven years earlier.......Ali revolutionized the sport of boxing by sheer power and magnetism of his personality at a time when most fighters let their managers do the talking, Ali thrived in, and indeed craved the spotlight, where he was sometimes provocative, frequently outlandish and almost always entertaining. 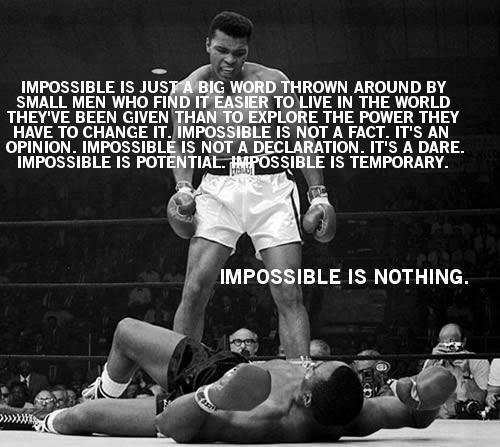 He controlled most press conferences and interviews, and spoke freely about issues unrelated to boxing. He transformed the role and image of the African American athlete in America by his embrace of racial pride and his willingness to antagonize the white establishment in doing so....... In the words of writer Joyce Carol Oates, he was one of the few athletes in any sport to completely "define the terms of his public reputation. ".......This glove comes with the COA from Global Authentics along with a lifetime and beyond guarantee of authenticity from KOfightposters.com.